According to the requirements of the internship program, I chose to prepare a report on STANDARD CHARTERED BANK. The objective of this report is to focus on two broad issues. One is to briefly look at Standard Chartered Bank and understand the whole banking process, keeping close attention on their culture. The second objective and the main issues of this report is to briefly discuss about the current customer satisfaction level after increasing some charges and fesses. Standard chartered bank is the leading foreign bank in Bangladesh. The report is based on both primary and secondary research. The secondary research provided the main input for the report. This provided a theoretical basis of the report. The primary research was done to know about the banks working procedures and different segments of banks. 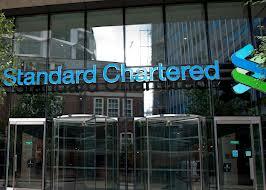 Standard Chartered offers the client a comprehensive range of Cash Management services. Whether it is a financial institution, a multi-national corporation or a domestic company, Electronic Banking application has the capability to support full range of Cash Management reporting and transaction initiation needs. It provides the secure, reliable and effective link between the client and client’s accounts anywhere across the Standard Chartered network. Standard Chartered is highly recognized as a leading cash management supplier across the emerging markets. Our Cash Management Services cover local and cross border payments, collections, information management, account services and liquidity management for both corporate and institutional customers. The IBG of Standard Chartered Bank offers a wide variety of products and services to the banks and financial institutions. It has global links with leading banking institutions and agency arrangements through its network of offices in 40 countries. The Bank offers a full range of clearing, payment collection and import-export handling services. Standard Chartered bank should do are maintaining the standard during recruiting the employees. An employee bears the brand name so if employees make some thing wrong that will ultimately affect Standard Chartered bank. Sample is collected randomly among daily customers from the Uttara, Banani, Gulshan North branch of Standard Chartered Bank. For the organization part information has been collected through different published articles, journal, and brochures. Formal questionnaire for data collection is used for better understand of customers current satisfaction level after the charges increased by bank. Basic company Information is collected through informal discussions with Relationship managers & respective Unit heads of SCB. In the organization part information is provided in a descriptive manner.In the project part data analysis has been done into two parts. One is the data presentation.The second part is analysis. Statistical analysis of the quantitative data has been done. Based on the survey result I use SPSS software to get the statistical analysis. There I use t test and cross tabulation method to find out the customer satisfaction level on different issues. Chartered bank was established in 1853 by a Royal Charter granted by Queen Victoria of England. The main person behind the Chartered Bank was a Scot, James Wilson who had also started “The Economist” still one of the most eminent publications today. He foresaw the advantages of financing the growing trade links with the areas in the East, where no other financial institution was present that time widely. Even the First World War offered opportunities for expansion when the Standard Bank set up a branch in Tanzania shortly after British troops occupied the formerly German administered Dares Salaam in September 1916. Both banks survived the inter-war years but the world trade slump led to the closure of operations in the Canary Islands, Liberia, the Netherlands, and Equatorial Guinea. Disaster struck the Chartered Bank’s office in Yokohama, Japan, when it was destroyed by an earthquake in 1923 killing a number of staff. The Chartered Bank was particularly affected by the Second World War when numerous Asian countries were occupied by Japan. After the Second World War many countries in Asia and Africa gained their independence. This led to local incorporation in some countries, particularly in Africa. Other operations such as those in Iraq, Angola, Myanmar and Libya were nationalized, while in Indonesia the Jakarta office was destroyed in an attempted coup d’etat. In 1948 the Chartered Bank opened in Bangladesh and during 1957 it acquired the Eastern Bank. The Eastern Bank gave the Chartered Bank a network of branches including Aden, Bahrain, Beirut, Cyprus, Lebanon, Qatar and the United Arab Emirates. The Chartered Bank also entered into a joint venture to form the Irano-British Bank which opened for business in 1959. The bank grew rapidly and had 24 branches when it was nationalized in 1981. s radically changed and strengthened. Chartered Bank in Bangladesh follows a hierarchical pattern of command. The Chief Executive Officer (CEO), David M. Fletcher reports to the Regional General Manager, MESA in Dubai. All the department heads at the headquarters report to the CEO. In Chittagong, however, since there are two major business activities, a manager or senior manager, who reports directly to the head of the respective division in Dhaka, heads each. The Custodial Service division at the headquarters reports to the Head of Corporate Banking. Standard Chartered as well as Standard Chartered Bank in Bangladesh is headed by the Chief Executive Officer, who reports to the office of the Regional General Manager, Middle East and South Asia (MESA). While performing staff functions, the CEO is assisted by different heads whose functions are mentioned in the following section. Head of Finance and Administration, who looks after the general ledger, budget, financial scenario of the bank, risk management administration and audit operation. Head of Cards who supervises credit card operation. Head of Consumer Banking, who supervises retail-banking operation like sales and services, retail lending, product development and product marketing. Head of Corporate deals with the relationship management, corporate finance etc. Head of Human Resources looks after succession planning, training and industrial matters. Head of Lending Management assists the management division of Corporate, retail and Credit Cards in their lending operations. Head of Global Markets deals with the foreign exchange, money market and asset liability operation. Head of International Services deals with the trade finance, guarantee and correspondent banking. Head of Operations looks after the support services in banking lending, CBS User, Treasury, SWIFT/TELEX operation etc. Head of Technology is directly accountable to him. Standard Chartered Bank offers its local customers a wide variety of financial services. All the accounts of corporate clients, which mainly comprise the top local and multinational companies operating in Bangladesh, are assigned a Relationship manager who maintains regular and close contact to cater to their needs. The wide variety of lending needs are catered to with skilled and responsive attention. Capture every investment opportunity to increase your income. Access to long established expertise in Commodity Finance and willingness to accept the credit risks associated with approved counterparties. Standard Chartered Bank’s Treasury division is the local market leader in debt instruments including both short and long-term fund mismatches through the money market and takes front line position in inter-bank and market developments. The money market is managed through tools like inter-bank call money rate, government T-bills of various maturities and inter-bank SWAPS. In future, new instruments like repo and reverse repo will be introduced which will add to the depth of the money market. Equipments like telephone, voice recorder, money 2000, telex, sealing system, time keeper, swipe doors, computers, fax internet are used to ease and fasten operations of the dealers to conduct deals. A fee of BDT 1150 is deducted after every 12 months as a relationship fee irrespective of balance. Consumer banking division meets the needs of individual customers with various products like Savings Account, Extra Value Savings Account, Access Account, Call Deposit, FCY Deposit, NFCD Fixed Deposits, RFCD Account, Personal Loans, Auto Loans, Flexi loans, Cash Line, Installment loans, etc. This department also deals with other savings instruments like education savings scheme, rainy day scheme, marriage day scheme, millionaire scheme (some printed brochures are enclosed in the Appendix). This focus allows the business to develop an in-depth understanding of the banks customer’s evolving requirements. This in turn enables SCB. to develop the products and services that help them to stand out from the competition. Treasury provides support to the customers of both these business and develops customers (both individual and organizational) of its own. Analysis: Here from the survey I found that among 120 survey 33% are women and 67% are men. So we can come to the conclusion that most the SCBS customers are male. And many case we found that private service holders wife maintain there account that’s why the percentage move to 33% otherwise it can be less than 20%. Most of these cases we found those males are opening a joint account so that there wife can maintain there account. Analysis: I basically did my survey in Uttara, Gulshan, and Banani branch so most of the people are from these areas but in Uttara I found some people coming from Tongi as there is no branch in Gazipur and SCB has a corporate client Sanofiaventis in tongi so employees of sanofiaventis came to uttara and found some customer from Khilkhet and Nikunja. In banana and Gulshan I found many flowing customer from different place of Dhaka city like Agargaon, Dhanmondi and old town. But highest cluster is found on the basic three areas. 4) Please mention your monthly Family income range. Analysis : Standard Chartered bank is a place where customer or consumer requires a huge amount of money to start its initial operation with SCB. So it is not mentionable mostly high income holders have account in SCB. Among 120 50% we found have monthly family income more than 45000 and 37.5% have income in between 35001-45000. Highest numbers of people are fall in between this. 5) Please mention Your Educational Background. Analysis: In my survey I found highest number of consumer educational back ground is Honors and all of them except some old women and some worker from Sanofiaventis are graduate means 69.2%. Second is 20.8% are master degree holder and 6.9% are PhD degree holder. So we can end up that all most 85% of SCB account holders are educated because most of the case they need to fill up form in English. Analysis: Here we can see that highest percentage is on private service holder because they are operating there salary account with SCB for better service and for definite benefit. Next is professional under this category all engineer, doctor, lawyer, Consultant etc which contains 18.3%. Then next government officer as we know a huge number of our population is doing govt. service but most of their money is black money that’s why they don’t want to operate in SCB although we found 13.3% are govt. service holder but most of them are senior official. Last we found same percentage on student and retired govt. official which is 3.3%. 7) Please put a tick mark on the service name that you avail most from Standard Chartered bank. Analysis: During my internship in Uttara branch and from the survey I found most of the customers come to branch for avail the sanchayapatra coupon encashment and purchase services and taking statement & certificate for different embassy. And numbers of people come to know there balance although they can get it through ATM booth and call center but still they wants to rely on branch. Lastly few people as well come to open different savings product. 8) Are you happy with the charges that Standard chartered bank take for statement from branch? Analysis: Standard Chartered recently increase their charges for statement and certificate if customer wants to get them from branch. They increase it almost double where in the past it was 287.5 for 6 months not it is 575 for the same tenure and 1150 for 1 year. Which makes many customers annoyed that’s why I found among 120 people 99.2% are unhappy with this recent charge. How much do you think Standard Chartered Bank should charge for statement from branch? Analysis: Here I want the customers suggestion regarding how much SCB should charge for the statement & certificate 41.7% say they can increase but the amount shouldn’t be 350+vat, 35% said same as before. So their suggestion is SCB can increase the charges but not doubled. Where as 14% said SCB should reduce the charge to 150+vat and 9% said they can charge at best 450+vat but not the double. 10) Are you glad to take Debit card as a replacement of ATM card by paying more? Analysis: Standard Chartered start distributed its debit card as they want to replace ATM card with debit card. But problem is charge is more or less double at the same time SCB start charge customers before they start use the debit card and SCB send the debit card by post without taking permission from customer. Here 76% said they are not happy to take Debit card by paying more and 24% said they are happy. 11) How much do you think Standard chartered bank should charge yearly for debit card to retain the satisfaction? Analysis: Here I ask them how much SCB should charge for the debit card 73% said they should charge same as ATM card and 23% said below the ATM card charge. 12) Do you think Standard chartered banks required document for any kind of service to the client creates dissatisfaction level among customer? Analysis: Now if any customer wants to take any kind of services they need to present with different papers like passport for photo identification or authorization application with attested photo. But these docs increase dissatisfaction level among valued customer. That’s why 44.2% said they agree that it increase the dissatisfaction level and 29.2% said strongly agree with this statement. Analysis: Standard Chartered bank is the first bank in Bangladesh who start the call center option in Bangladesh. Now they are start creating their call center activated. For this reason they try to make the customer call center oriented instead of branch oriented. SCB make many things free for customer if they collect through call center. But many problems associated with call center performance. The main problem which is the basic criteria of the call center is availability of phone line. The phone line is very much poor, sometimes branch employee can not connect the phone line when branch people suggest them about then they directly ask can you please connect the no. and branch guys fail to connect. But over all whenever customers make complain or want something from call center they will get that very soon. That’s why customers are annoyed with availability of phone line not with services. Analysis: In branch mostly service given by Customer Service officer means (Cash) and Personal Financial Consultant (PFC) but the service delivery time is very poor. In cash for giving service to particular one customer one CSO take 5 minutes just to receive and giving the money and abut PFC they basically harass the customer by asking many question even from the account holder they ask many question if sign mismatch occur. So that’s why service delivery time comes poor and 61% of the people said very poor and 21% said poor means 82% said poor. Analysis: Standard Chartered bank is the largest multinational bank in Bangladesh and all their employees are as well employee of SCB London so customers expectation is very high but most of time I found SCB put the sales officer who are just B com pass as CSO and this creates problem because they don’t know curtsey and bank never arrange and behavior change training for them. That’s why 42% of the 120 people said behavior is poor and 32.5% said very poor. Analysis: Standard chartered banks product has the lowest interest rates in the market and they don’t care they don’t even have any plan to increase the rates. That’s why 45% survey people said interest rates are very poor and 34% said poor. And this is the only reason why post of the people uses their deposit in Govt. Sanchayapatra which has highest interest rates. Analysis: For security purpose and for Bangladesh Banks requirement SCB want many documents for different services. But people said its not bad because these days every one is fear about terrorism. That’s why 72% said requires docs is ok. Analysis : SCB first introduce ATM booth service in Bangladesh now they have 35 ATM booth but problem is all of them are becomes old and there are no particular department for ATM branch people needs to repair them that’s why service quality degraded day by day. Only for this degraded services 53% said services are very poor and 18.3% said poor. But within 6 months this scenario will change as SCB is going to start new ATM booth department who are going to take care all of them and a special services will become standby so that anytime they can solve the problem. Analysis: As a multinational bank SCB has highest number of 24 branches and 35 ATM booths and they are only bank in Bangladesh who are connected online for all these branches and ATM. That’s why there is no question about the brand name. That’s why most of the people said the brand name is excellent and good. H0 : There is no association. Ha : There is association. Analysis: Means Cheque Book delivery time is highly related with SCBs performance in terms of service delivery time. As cheque book delivery is one of the major job responsibilities of branch and it requires time and if customers make it through call center it will help branch to deliver them as quickly possible. Consumer banking is number one profitable sector in Bangladesh. While it has solid revenue potential it involves close cooperation and coordination among several departments within the bank and liaison with a large number of entities. First things that Standard Chartered bank should do are maintaining the standard during recruiting the employees. An employee bears the brand name so if employees make some thing wrong that will ultimately affect Standard Chartered bank. And consumer banking directly deals with customer and they face the major problem of loosing customer if employees make something wrong. In retrospect of the marvelous growth of consumer banking revenue over the last 20 years and contemplating the intensity of competition yet to come, it is crucial for SCB to rethink its strategies and marketing plan to sustain the growth consumer banking revenue. Correspondent banking service providers domiciled in Bangladesh are expected to be fighting for a bigger pie, as the growth prospect of the country’s correspondent banking business is limited. One of the ways to achieve that objective is to maximize consumer banking revenue generated from local clients and introduces more local products. At the same time Standard chartered bank must have to consider the consumer mind setup. As a multinational bank customer want more benefit from them then other 3rd generation bank. So instead of making profit only they should care about the customer as well. They can start many new savings product like millionaire scheme. But here problem is that all these scheme is very costly. So they should introduce something for the middle class, but still SCB continuously working with upper class and upper middle class. When these types of facility is come on front then and only then Standard Chartered Bank can compete with other banks like HSBC, Prime Bank, Dutch Bangla Bank. Customer is the heart of the bank and if SCB can make them satisfied and make them return to the bank with their deposit it will become the largest profitable bank in Bangladesh within a short period of time.